A stranger embedded within a rural, turn-of-the-century British cult darts suspicious eyes at a wild-eyed minister preaching to his congregation about being free, living off the land, and rejecting any and all outside, heathen influence. Oh, this can’t end well. 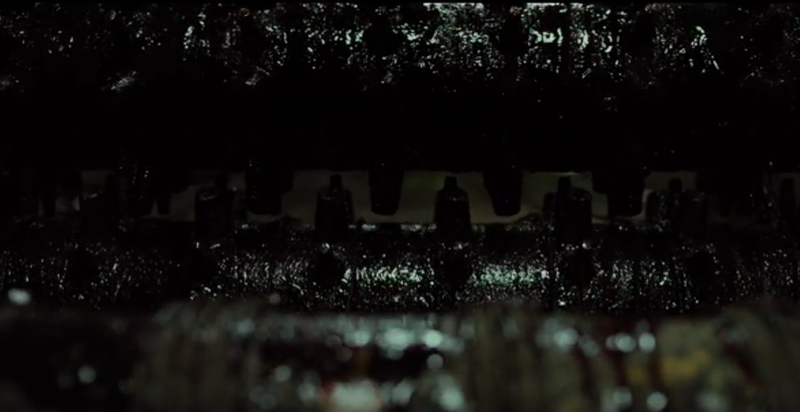 Someone is – spoiler – shoved through a meat grinder by a wicker-masked crazy who may or may not be a supernatural being. Both apparent extremes of the horror movie spectrum co-exist in The Apostle, writer-director Gareth Evans’ new Netflix Original. That makes The Apostle the type of movie where it’s entirely possible to forget it has been directed by the guy who made The Raid and The Raid 2 until it becomes wholly unmistakable. One half restrained atmosphere, one half balls-to-the-wall gonzo crazy with a zip-zoom camera and moments sure to make some audiences members gag. This combination doesn’t always work, but it’s quite the sight to behold. The plot: It’s 1901. A cult has kidnapped the daughter of a rather wealthy man and demanded he grace them with his presence and pay ransom. What they don’t know is her father is, um, how should I put it: “afflicted.” Non-Compos mentis. A real Sumner Redstone situation. 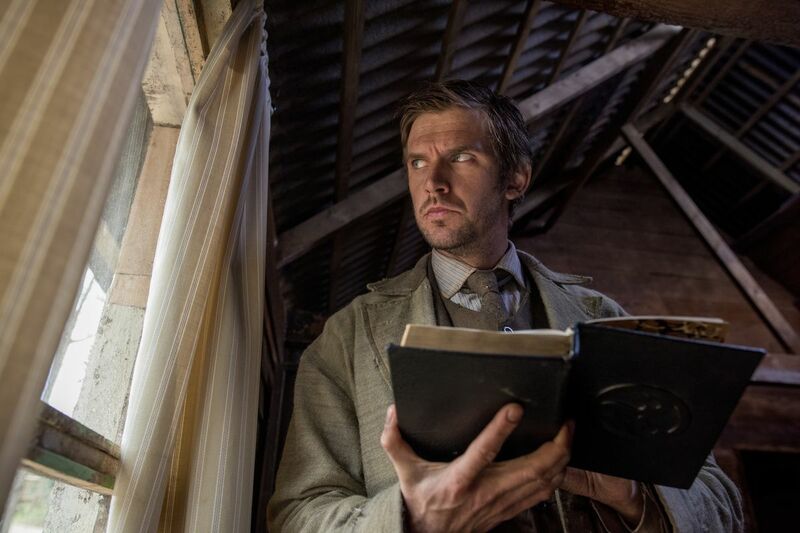 So, her brother Thomas (Dan Stevens) is sent instead and ordered to secretly infiltrate the cult. He is in no way authorized to pay the ransom until he can verify with his own eyes that his sister is actually still alive. Once there, he befriends a couple of the locals (Lucy Boynton, Bill Milner), does his best to blend in, and eventually discovers that … wait for it … kidnapping and ransom might just be the least of this particular cult’s crimes. That, of course, is typically how these plots go, as I discussed earlier this week in my The Sacrament review. The Apostle, for around an hour, seems like it might be no different. It doubles down on the slow-drip dread and checks off many familiar boxes, seemingly setting up a final confrontation between Thomas and the fiery cult leader Prophet Malcolm (Michael Sheen). Nothing much actually happens, of course, but there’s an ever-present threat of discovery and action. A rough summation of the first hour of the film. Then, out of nowhere, it feels like a light switch gets turned on and everything happens all at once. The inevitable “this is what’s actually happening here” revelation gives way to one “but wait, there’s more” revelation after another. Initially minor characters like Malcolm’s right-hand man Quinn (Mark Lewis Jones) overtake the movie. Sudden bursts of violence quickly become the norm. Hold on. I can do this, I swear. Nope. I can’t. I can’t even talk about it. The Apostle is a tad too long. The differing tones of its two halves create a bit of narrative whiplash. But, the performances are uniformly solid, action and scares expertly filmed, and production design off the charts impressive (the cinematography and sound design deserve special praise). It adds up to something which is impossible for any horror hound to pass up but be warned: this is one seriously grim movie. What did you think of Apostle? Are we all on the heathen’s stand? Let me know in the comments. Previous Entry Bad Times at the El Royale Review: Why So Serious?